"What do you love doing so much that the words failure and success essentially become irrelevant?" Flirting with change brings about feelings of fear and resistance in the best of us, whether you’re an entrepreneur, established in your career or in transition. Change requires action, action requires inspiration and inspiration requires trust. 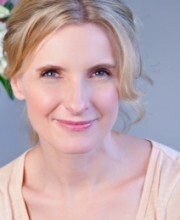 Elizabeth Gilbert in her latest outpouring of creative energy gifted her readers with Big Magic, an expose into the world of creative living. This piece has a target audience, those that are creatively bound such as painters, writers, and artists alike; but also speaks to the ambitious, driven and passionate career minded person looking to create change within their career or career path. As career minded folk, creation could be in the form of a budding business idea, an innovative project, or a career leap. Ultimately Gilbert urges her readers to open themselves up to inspiration, persist through challenges and strive to produce something incredible without the pressure of pending success or the fear of failure. More reflective than actionable, this piece offers valuable thought starters that could serve as your next biggest catalyst for creation. "I’m talking about living a life that is driven more strongly by curiosity than by fear." When an idea has found a suitable human partner, presumably you, it will try to wave you down on countless occasions, and if you don’t bite—it will move on. The urgency here is to open yourself up to those ideas. Limit your distractions, open your mind and prepare yourself for the next big inspiration. Think you’ve got hold of it? The next step is to persist, create and trust. "The question is not so much ‘What are you passionate about?’ The question is ‘What are you passionate about ENOUGH that you can endure the most disagreeable aspects of that work?’"
As a budding entrepreneur, paperwork and logistics may have you dreading kicking off, but stay close to your inspiration and the promise of curiosity can allow you to preserve through to fruition. Or, as an ambitious team leader looking to shake things up with an innovative project, forecasting the tough bits and the end goals can help create a road map that allows for sustainability and persistence. "Interesting outcomes are just awful outcomes with the volume of drama turned way down"
Creators of all types carry a reputation for martyrdom; the tortured artist, the tormented writer, and the perpetually overwhelmed executive. The danger of martyrdom is quite simply that it is a dramatic, dark and uninspiring place to be in. Gilbert introduces an enticing alternative: the Trickster. Tricksters trust the universe, they are optimistic, sly, primal, and endlessly shape shifting. Embrace the Trickster and you’ll find the burden of success and the ultimate need for perfection will fade away, leaving you with the raw inspiration and the persistent curiosity to power through to completion. “Fierce trust demands that you put forth the work anyhow, because fierce trust knows that the outcome does not matter,” Gilbert explains. While a fluffy and softer approach to creativity, Big Magic is quite frankly, inspiring. As it turns out, taking the rigorous and quantifiable nature of goal setting out of the equation leaves room for creative living, which can be a very productive place to be. We can all take a page out of Gilbert’s expose, trust in the process of inspiration, lighten up our own expectations, and loosen our definition of success—because when we do—magical things can happen! What magic will you be creating this month?